Gold Leaf Tobacco has "wholly" denied that its RG cigarette brand is illegal. This comes after the Tobacco Institute of South Africa released a survey by Ipsos on Tuesday which found that the illicit cigarette brand had for the first time in the country's history become the biggest selling cigarette. The Ipsos research says the brand sells for an average price of just R10, well below the R17.85 owed to South African Revenue Service on each pack. 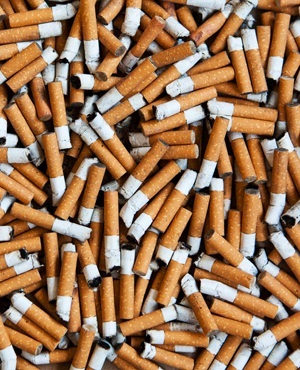 The Nugent commission of inquiry into tax administration and governance SARS was previously told that instructions came from high office in the tax body to put investigations into illicit tobacco trade on hold. However, Gold Leaf Tobacco responded to questions from Fin24, saying it was not true that its brands were not subject to excise tax and that Tisa was attacking its business. Gold Leaf Tobacco said it had no need to hide anything from SARS in terms of excise payment, but said it spoke to the tax authority’s staff members regularly. "SARS visit our factory on a regular basis; we are always compliant. The claims by Ipsos and Tisa are commercially driven to run down the reputation of our business and reduce our market share," Gold Leaf Tobacco said. The company did not deny having the biggest selling cigarette brand in the country, but said it would need to assess data to be sure. The company’s owner, Simon Rudland, was not available to respond to questions.